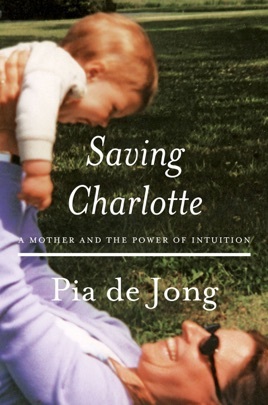 Best-selling author Pia de Jong’s vivid memoir about her newborn daughter’s battle with leukemia and the startling decision that led to her recovery. On a still summer night in a seventeenth-century canal house in Amsterdam’s old quarter, Pia de Jong gives birth to a delicate, bright-eyed baby girl with a riddle on her back—a pale blue spot that soon multiplies. In a bare, air-conditioned hospital room, a doctor reveals the devastating answer: it is a rare and deadly form of leukemia, often treated with chemotherapy, a cure nearly as dangerous to a newborn as the disease itself. Pia and her husband Robbert make an intuitive decision. They do not subject Charlotte to chemotherapy; they bring her home. They transform their canal house into a sanctuary where Charlotte can live surrounded by love and strength, where Pia can give her a chance to live. In return, Charlotte gives her mother the greatest gift of all: purpose. Saving Charlotte is the story of a daughter’s fight to survive, and of a mother’s fight to live a life of passion and meaning alongside her.